s your dog constantly itching or scratching? Does it have recurrent ear infections or is the quality of its coat deteriorating? Does it have poor digestion? You may be fueling your dog’s discomfort by feeding it something that it’s allergic to! Let’s first understand what the term ‘Food Allergy means. 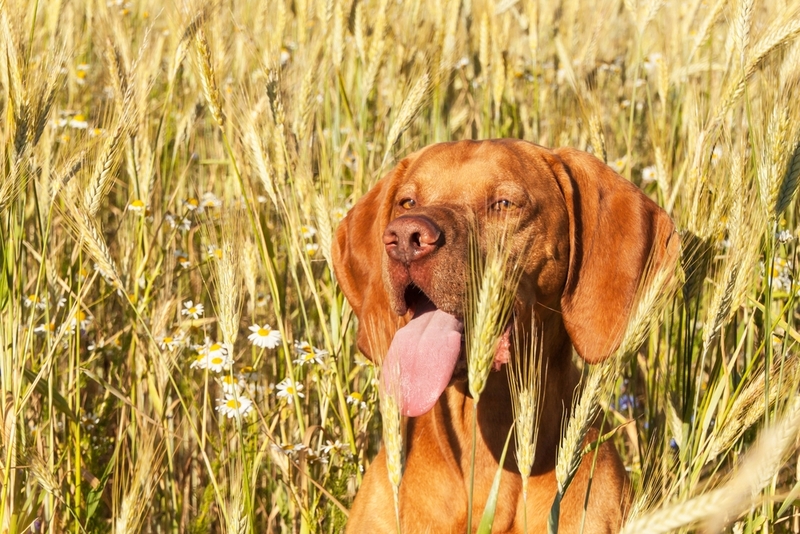 Food Allergies are an over response of your dog’s immune system to an ‘unrecognized’ protein. In the case of a food allergy, this protein is contained in your dog’s food! This protein enters the bloodstream through the digestive tract and quickly gets attacked by the dog’s immune system and this causes allergies! Chronic ear Infections: Frequent ear infections (more than 2-3 a year) are a telltale sign of a food allergy. Persistent head-shaking and repeat scratching at the ear are an external sign while smelly (yeasty) ears with brown/black build up are internal signs of food allergy. Before deeming repeated scratching of the ear as a food allergy, first try and rule out ear mites/yeast infections as the cause of irritation by visiting a vet. Red/Brown/Bronze Nail Beds: if the bases of your dog’s nails are reddish brown then your dog might be suffering from a food allergy. The nails may also be sensitive and if your dog keeps licking/itching at them then you might have a food allergy at your hand. Bronzing around the lips: This is most noticeable in breeds with white coats! If your dog’s lips/feet/skin is pink (which is caused by a Yeast Colonization) then there is a high probability that your dog has a food allergy. Try to rule out sunburn or a localized yeast infection by visiting a vet. Red Underbelly and Dull Coat: Constant itching that causes hair loss in affected patches that isn’t remedied by bathing/conditioning/OTC allergy medications is a defining sign of either environmental allergies or food allergies. Try changing what goes into your dog’s bowl to verify if the allergy is food based or environment based. Sometimes this may also be caused by bathing your dog improperly where shampoo residues (or the type of shampoo) are causing itches! Watery Eyes: If your dog is scratching at its eyes often, has goopy discharge or excessive tear production then your dog may have a serious food allergy! Rule out eye trauma before changing your dog’s food by taking it to a vet with the necessary qualifications. Some environmental factors can cause this issue as well! Try using OTC eye drops and proper cleaning of your dog’s eyes before deeming this as an issue that is being caused by a food allergy! Did you find this article useful? Do you know of any other symptoms of food allergies? Tell us in the comment section below! In case you are looking out for a dog food replacement that has hypo-allergenic ingredients, try Now Fresh by Petcurean. The recipes used to make Now Fresh contain 100% Market Fresh ingredients that are known to have extremely low allergenic risks as well as sooth the effects of allergies! To know more about Now Fresh and the various products on offer, click here.